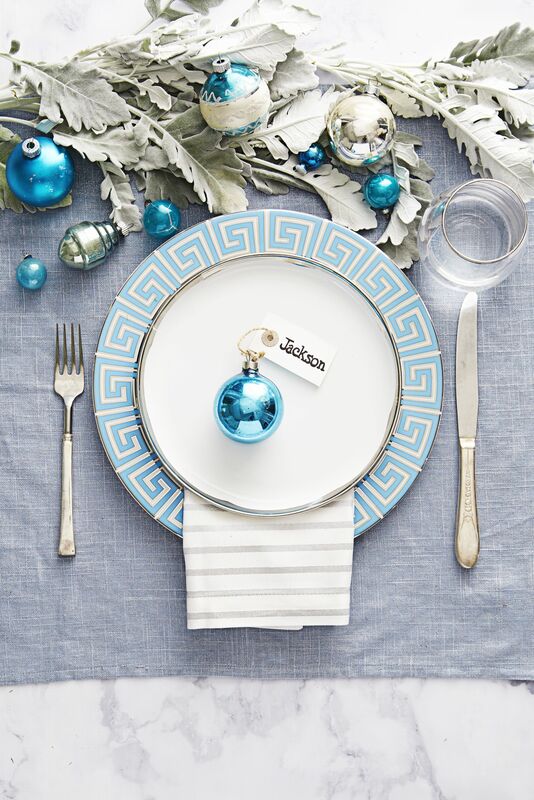 A properly dressed dining table for the holidays is the backdrop for a gorgeous meal. Creating a festive centerpiece and place setting is the ideal solution for having an exceptional dining experience. Want a twist for traditional décor? Spruce it up by adding different styles like glam, rustic or minimalist. Refresh the look of ivory and white by adding metallic touches for a more chic and luxurious feel. Line the center of your table with stylish mercury glass Christmas trees or various heights of Nutcrackers (Nutcrackers are my favorite holiday décor). Use fresh evergreen garland, twigs and pinecones for a rustic display. Adding candlelight is always a plus when styling your dining table. Looking to create some fun and whimsical, wrap a few boxes in colorful or theme related wrapping paper and place randomly down the center of your table. Ornaments are an easy way to add color and sparkle without much effort. When hosting a holiday dinner for family and friends, you want to pull out all of the stops to create the perfect dining experience. Today I’d like to inspire you with a collection of fabulous Christmas table settings from across the web displaying elegant and fun ideas to make your tabletop POP!